Since buying Jack in June, his body has changed a ton- homeboy has never been in a program quite like this one and he suddenly has muscle in places he never did before. So even though I had my saddles fitted to him in the summer, his back and demeanor was telling me that the saddles no longer were a good fit. Cue 2 saddle fittings (and crying into my empty wallet) and we are starting to see signs of a happier, looser version of Jack. After weeks of not having a proper dressage lesson due to my Fair Hill and photography commitments, I finally got one in last night. The trainer rode Jack first to feel him in his “new” (read: not new) saddle, which sits up so much better than before. Jack is so much more relaxed than he’s ever been, even with a dropping temperature and riding in the spooky indoor. 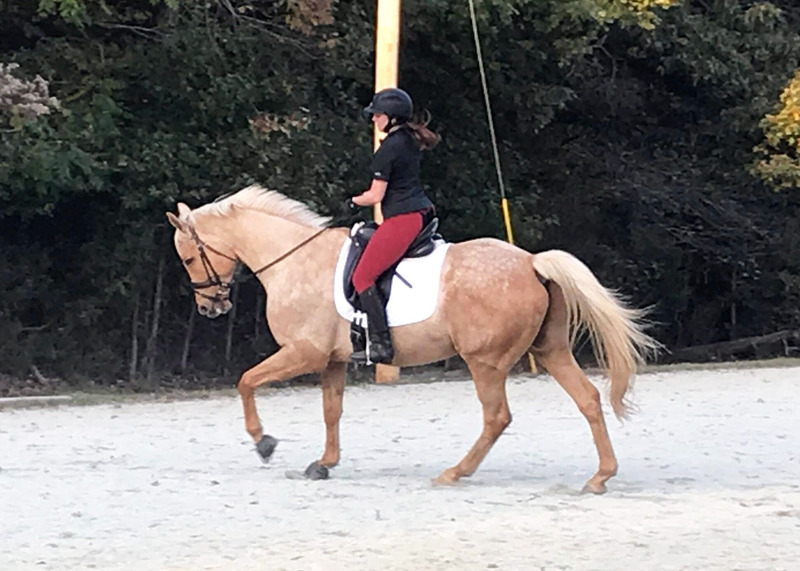 She commented on how much more rideable the canter is getting (thank goodness- that was such a hot mess before) and how he’s more reliably pushing to the bit, even if sometimes it means that he gets heavy in the hand. 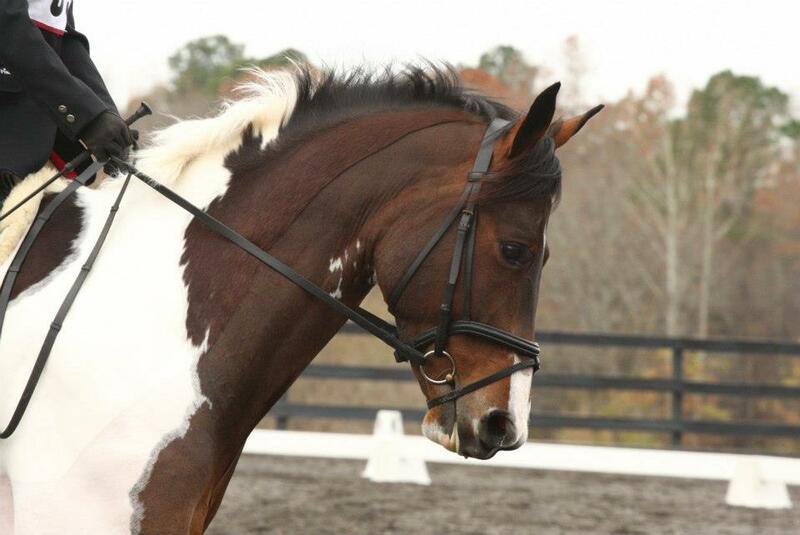 We’re fine with that, since he’s still finding his balance – all things in good time, especially with dressage! 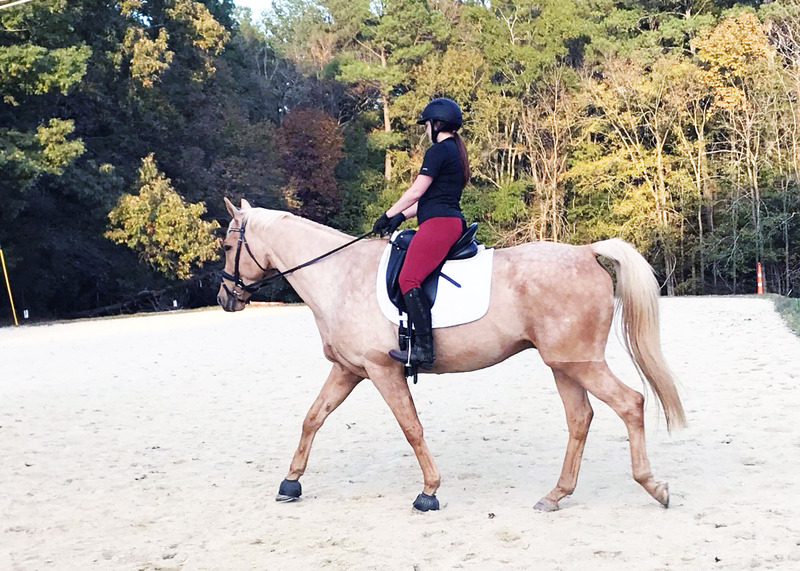 I’m learning not to brace my legs in the saddle (this applies to both my jumping and dressage position) and engage my core and lower back- a constant struggle for me. And Jack is learning not to use his neck/giant shoulders to transition from walk to trot. 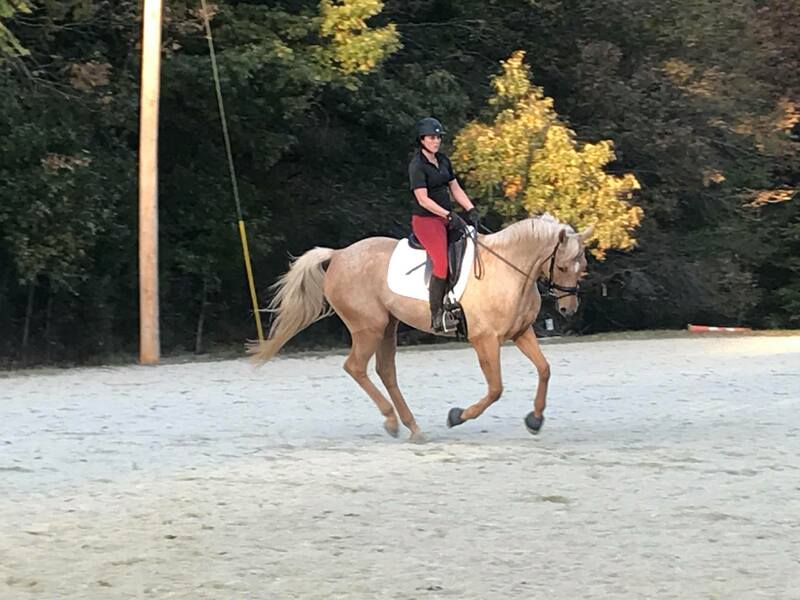 As simple as a walk/trot transition is, doing it correctly is probably the most difficult thing we are working on, and a large part of our lesson was focusing on this one aspect. Dressage is hard, folks, and we’re still getting those all-important foundational elements cemented. Once they are there I have the feeling we will start doing all the fun stuff. But for now, getting the basics- including saddle fit- will make for a happier, more correct horse with hopefully a long career ahead of him. Non-horsey person’s question here…. so the saddle is fitted to Jack’s back, but what about Britt’s bottom? Do some fit better than others? My only comparison is bike saddles, which seem to vary enormously but once you get used to one you don’t want to change. Yes, so saddles come in seat sizes (among other ways of measuring them) that really must fit the rider in order to be effective. 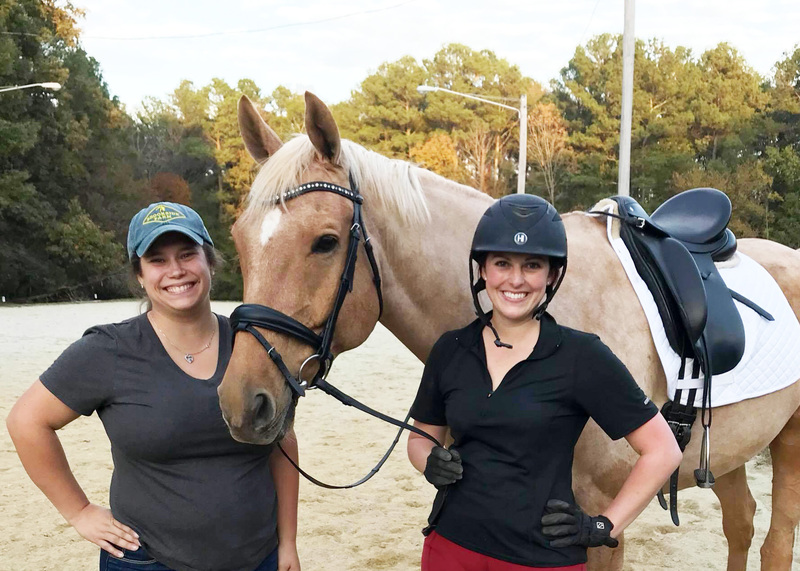 You can get a saddle custom to you as well, so for instance a short rider may have a short flap saddle to compensate for the length of their legs. Rider preferences have a lot to do with their choice of saddle- for instance I like to have big ‘blocks’ at the front of my saddle that keep my leg in place- some people find that to be restrictive and opt for no blocks at all. All of these things, plus fitting the saddle to the horse’s measurements and muscle tone, are why saddle shopping/fitting can be such a nightmare!